Sixteen years after his death, the name Kurt Cobain may mean more to some that it does to others. If, like us, you spent your formative years angsting-out to the tune of “Smells Like Teen Spirit” and cultivating holes in the elbows of all your thrift store cardigans, odds are that Cobain’s life, words and music still feel as relevant today as they did nearly two decades ago. 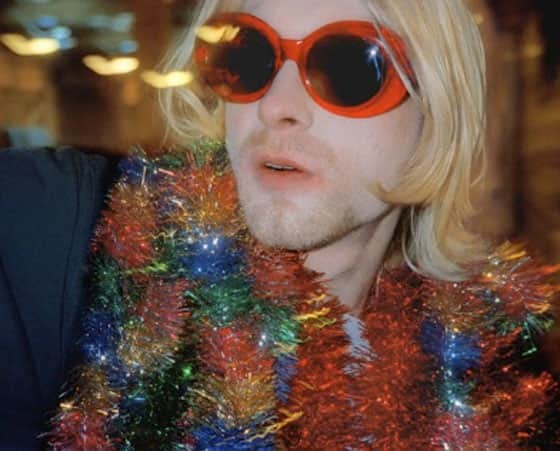 Starting May 13th, an exhibition at the Seattle Art Museum, entitled simply Kurt, will explore the ways in which the grunge movement’s most iconic figure continues to influence modern artists from a multitude of disciplines. The works on display run the gamut from the literal—a sculpture by Joe Mama-Nitzberg and Marc Swanson made from spun glass tinsel called “angel hair” and dried sprigs of baby’s breath (a sort of tactile “Heart Shaped Box” shoutout)—to the more abstract, like Gillian Wearing’s silent video featuring the artist dancing to Nirvana’s “Come as You Are” and Gloria Gaynor’s “I Will Survive.” Most haunting, perhaps is Alice Wheeler’s eerie, color-saturated photograph of a young homeless man who could, for all outward appearances, be the second coming of the reluctant idol himself.